History and Culture Collide – Run. Ride. Roam. The sun decided to have a sleep in. Instead of our glorious blue sky and sparkle, we were greeted this morning by a thick, pea-souper of a sea fog. We couldn’t see the water, which was only across the street and everything was shrouded in white mist. There mightn’t have been any sun, but it still looked pretty cool. The white blanket, which the sun had decided to stay snuggled under, way longer than any acceptable sleep-in time, was eventually folded back and the snoozy sun put in a short appearance in the afternoon. So, no glorious sunny day, but we forgive that ol’ sun because it’s been a real trooper of late, so we’ll let it have a rest for a day. We were still in the mood for some learnin’ so we hopped on the bikes again and pedalled off to the Beachhead Museum. 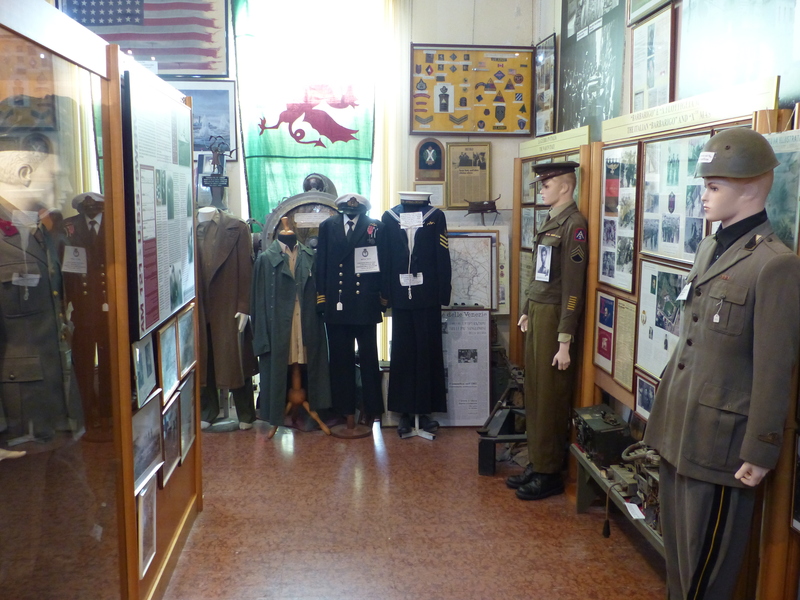 This small museum is dedicated to the Battle of Anzio and Operation Shingle, and held a small collection of artefacts from the battles and the British and American forces involved. She started the DVD playing and the film was a series of still photographs, appearing as a slide show with music accompanying it. It was the music that seemed odd. “Interesting choice of musical accompaniment,” I commented to Steve. The images included soldiers digging trenches, or charging up the beach under fire, and the town of Anzio turned to rubble, but playing over the top of these images were Pink Floyd songs! Hmmm, I thought, I’m not seeing the connection between these pictures, the Battle of Anzio and Another Brick in the Wall!? The music was loud and song after song just seemed so incongruous to the images. Then…it all became clear at the end. We were shown images of Pink Floyd in concert in Rome and their bass player and songwriter, Roger Waters. 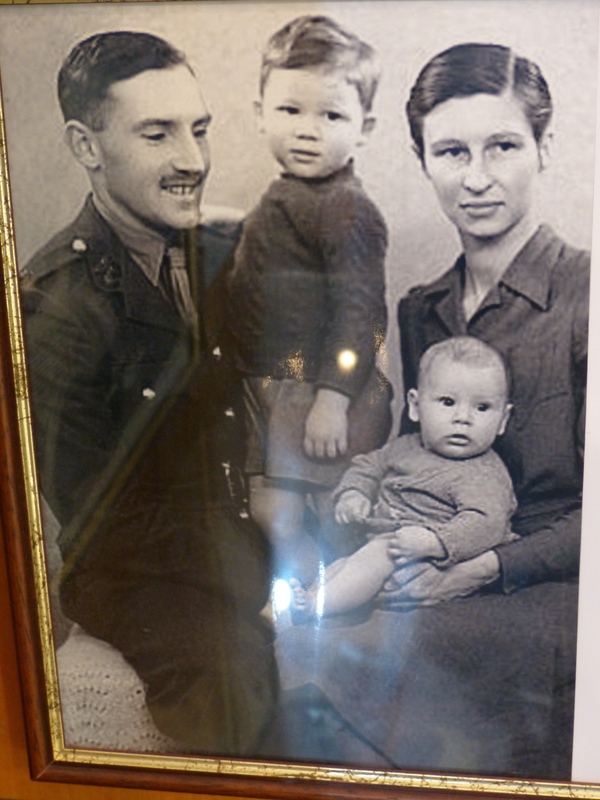 His father fought and died in Anzio during Operation Shingle, as a member of the Royal Fusiliers. We then learnt that some of the songs on the album The Wall make reference to the battle. The song When the Tigers Broke Free, describes the battle and the death of Eric Waters. History and popular culture clicked together and was another moment of reflection on how lives are affected by war, both immediately and for families, into the future. We continued strolling around the museum, reading and looking at the images and artefacts from the events that affected Anzio and Nettuno so deeply. Afterwards, we did some more riding around the town, tootling here and there, gathering some supplies and then heading back to our room, to begin preparations for our departure tomorrow. 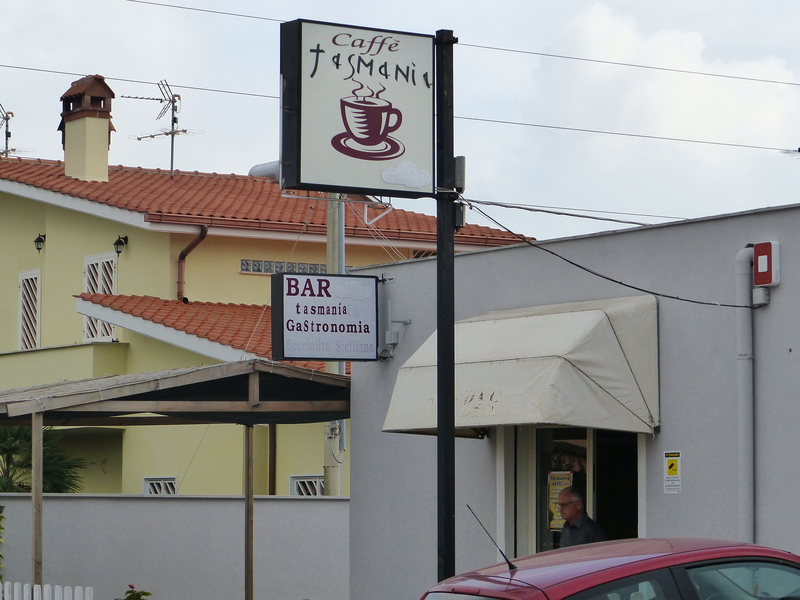 As we were riding around, we saw a cafe with a very interesting name. Fancy seeing this! Another day of learning and wheeling around on the bikes for another 17km of just pedalling here and there. Tomorrow we move on, using four wheels, sadly, as we begin our journey back to the UK, to beat our visa deadline. In recognition of the history and events from the place we have been exploring and what we have learnt of Anzio’s history, I’ll sign off with the lyrics to Pink Floyd’s When the Tigers Broke Free, written by Roger Waters, describing the events of Operation Shingle, and his father as a casualty of war. Did you go into the cafe? Nope, it was more of a bar than a cafe.